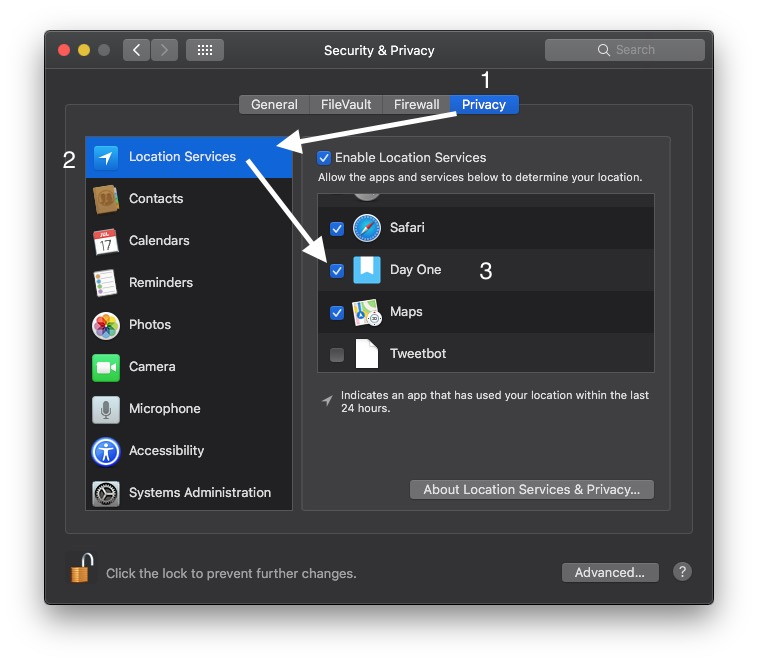 How to include location metadata when using the share extension to Day One. Day One Mac (in version 1.10, released May 14 2015) supports sharing photos using the macOS share extension (used system-wide in applications that support it—Finder, Photos, and more). You may occasionally find that some photos do not include location information or metadata. 1. 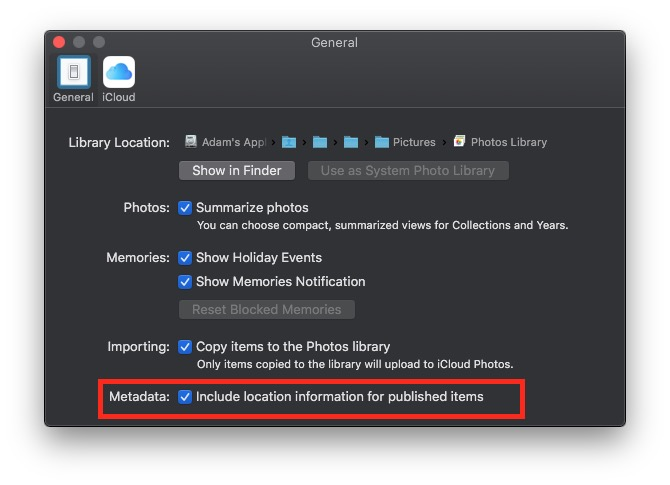 Sharing metadata is not enabled in the Photos app. Go to Preferences > General in the Photos app. Click the checkbox for "Include location information for published items." After doing this, try sharing a photo to Day One to confirm that this issue is fixed. 2. 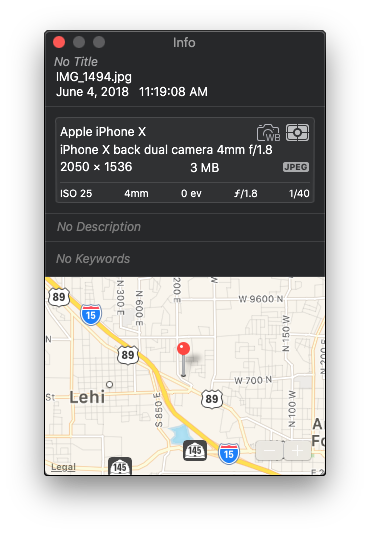 Location Services is not enabled for Day One. Click Location Services in the left pane. Find Day One Share Extension in the right pane, and click the checkbox (if it isn't already checked). 3. Your original photo doesn't have location metadata. In Photos, click the photo you wish to share. Click Window > Info to see various metadata for your photo. If your photo has location metadata, you'll see a map near the bottom of the Info window.